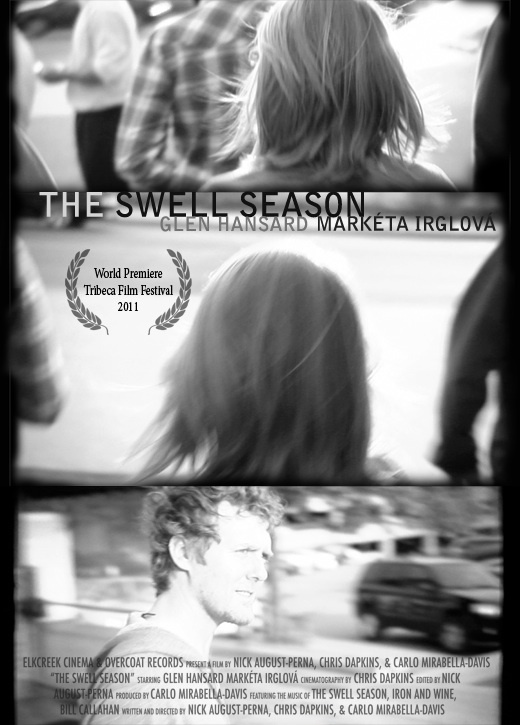 Anyone who was knocked backwards by the movie/musical Once will once again be torn apart emotionally by The Swell Season, a documentary finding its way into U.S. theaters this October. The Swell Season has that same soul-burning effect that fans of the original Sundance hit will recognize and appreciate. Filmed over three years and mostly post Oscar glory, the documentary follows Glen Hansard and Markéta Irglová on tour, providing backstory to the album and film that made them famous. At the same time, it chronicles the couple’s struggles with the concept of fame, as well as the intensifying-then-cooling ardor of their own personal relationship. With a deft hand that’s as much a blessing as a potential weakness, the documentary follows the twosome as they come into and out of the camera’s eye. While this offers the viewer unique insight into the claustrophobic effect of a success that locked the duo together from the moment their music struck a chord with viewers through the requisite touring for an acclaimed album, the closeness with which they’re viewed creates a disconnect between the audience and the greater context of the world at large. The Swell Season is therefore somewhat removed from the happenings of their peers, separated from the news of the world, and bare of commentary from outside the life, love and lyrics of these two musicians in their goldfish bowl. Ultimately, the documentary is as intimate a portrait of a duo that’s both band and couple as any top-notch biopic. With apt clarity, the film’s three directors celebrate their subjects’ story in crisp black and white, rendering the piece as somehow timeless and somewhat classic, a fitting choice with which to pay tribute to the deeply sincere storytelling of Hansard and Irglová’s music.